This document contains the complete set of questions/answers from the OCEG 2015 GRC Metrics Survey, presented in two groups. The first is responses from those in organizations with 500+ employees, and the second set has responses from organizations with fewer than 500 employees. For the analytic report on the survey results, click here. One last step before we send your research! 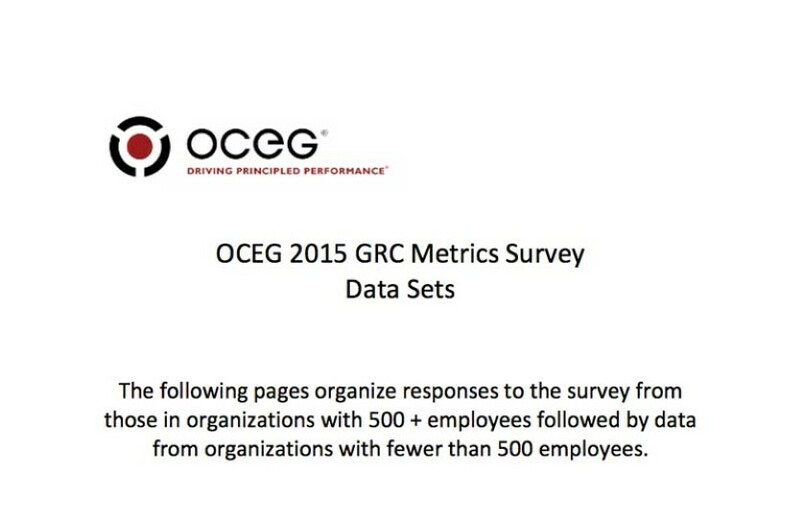 We have emailed instructions to access OCEG 2015 GRC Metrics Survey Data Sets to . Make sure the email arrives in your inbox: either add "support@oceg.org" as a safe sender to your email platform, or if you use Gmail, drag our email into your Primary tab.